While Khao San Road is known for being cheap, it isn't always known for its quality, but there is a new renaissance of shops out to change that. Places like the Lofty Bamboo, which features Fair Trade practices and traditional clothing and handicraft products from ethnic minorities and craft villages around Thailand, or Pasiri Thai Handicrafts, with embroidered hill tribe products, are giving shoppers in the area hope. 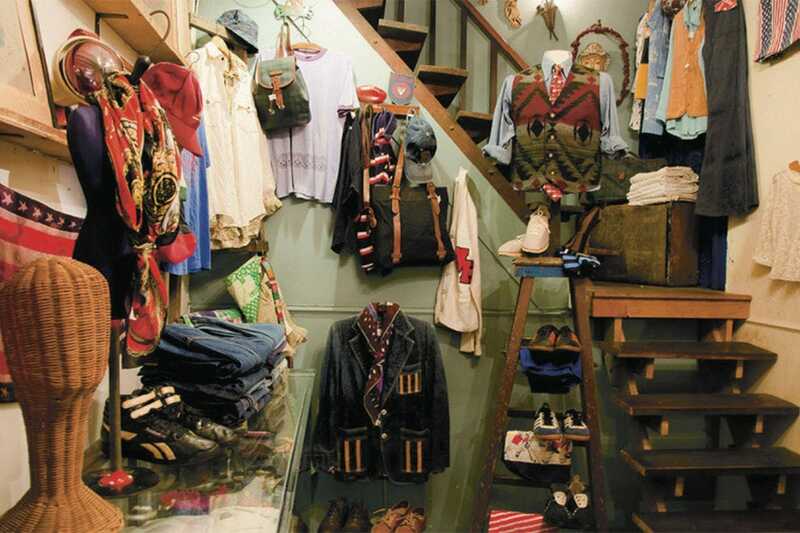 For high quality vintage clothing, LPs, and more, The Trapeze Swingers Shop is both unique and highly recommended. 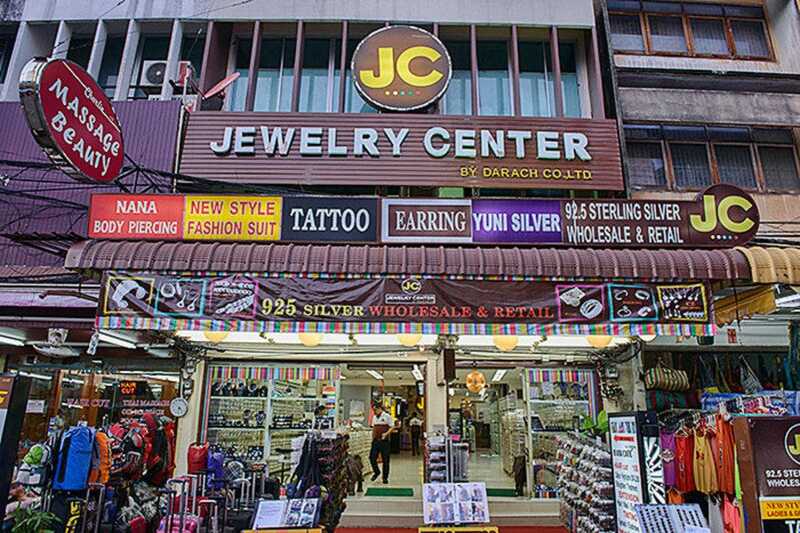 Jewellery also gives endless shopping possibilities in the Khao San area. 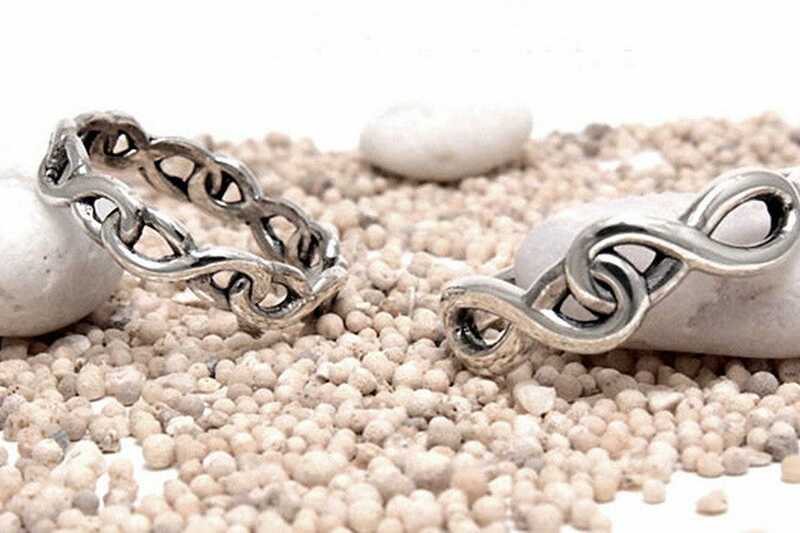 Custom made quality silver can be found at the three decades plus running Rainbow Silver, you can get wholesale bracelets and earrings at JC Jewellery, and Oh La La features finely crafted homemade necklaces, pendants, and more. You can get a custom made suit at a fantastic price from the long running Buddy Tailors, you can buy Christmasy lights, souvenirs and gifts from Happy Time, and you can pick up some used paperbacks at Sara Barn Books. 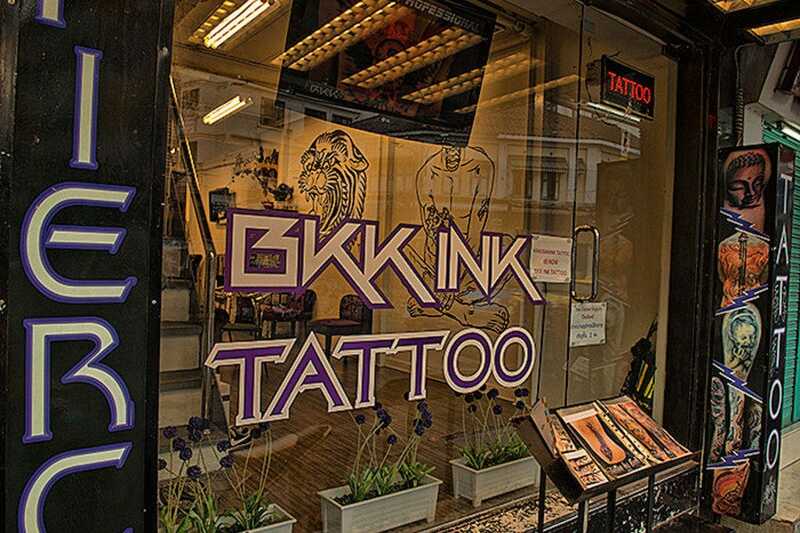 If you want to shop for yourself, try getting inked at Bkk Ink Tattoo, a top choice for those who want to get branded. 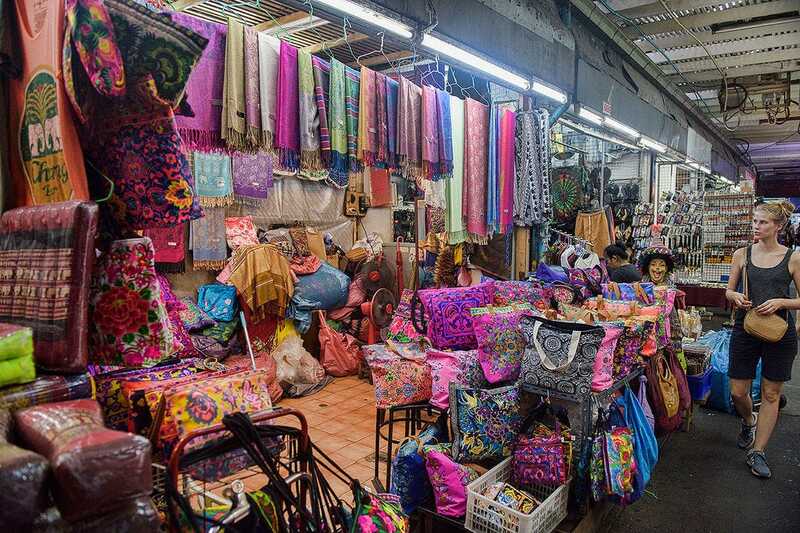 Phra Athit road, near the river ferry pier and just five minutes from Khao San has a bit more refined shopping, such as the elegant textiles and even better postcards at Taekee Taekon. The entire area is a good place to pick up souvenirs, and follow it up with cheap eating and drinking. This hole in the wall shop is just a small space set in the busy Susie Alley that runs from Khao San to Rambutri towards its east end, but it is one of the more eye-grabbing stalls in the alleyway, as it is full of colorful bags, clothes, and other handicrafts that come from the ethnic minority-rich hill tribe region of northern Thailand. There are some great souvenirs to be had here, from Hmong bags to scarves, skirts, sarongs, and shoes, to name but a few. The owner, Ms. Su, is friendly and not pushy, unlike some of the other shops around here, and you're also free to try your hand at bargaining down some of the prices. For something local that friends at home will like, it's an excellent stop. This little pop-up shop provides the lone decent souvenir stop leading from Rambutri Alley out to Phra Athit Road. It's a welcome addition to the Khao San scene, which tends to be stall after stall of repetitive fishermen pants, tie-dye rasta shirts, and copied DVDs. At Oh La La, they make necklaces, pendants, scarves, and other accessories all by hand, and the quality is a good step up from most other spots you find in the area. The shop is brightly lit, run by a couple of friendly ladies, and the quality of the goods make it quite attracting when you are walking out to catch the nearby river ferry. This large and reputable jewelry shop has a very wide selection of jewelry ranging from bangles, bracelets, earrings and chokers to a variety of pendants, rings, and all sorts of silver products. They also stock plenty of fine stones, whether it be turquoise, onyx, abalone, or mother of pearl. JC specializes in polished, oxidized, and engraved finishings, and can do just about any kind of custom work. 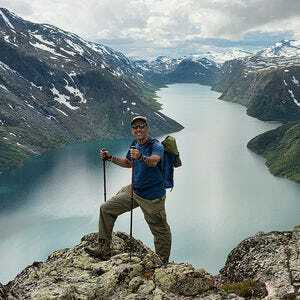 The store is a good place for wholesaling, giving large discounts on big orders, and indeed, plenty of travelers who want to turn their travels into some profits back home seem to be buying in bulk here. JC uses only 92.5 sterling silver and in a town famous for gems ripoffs, you can be assured of quality here. Located smack in the middle of Khao San, they are worth a look and a good spot to load up on some souvenirs. 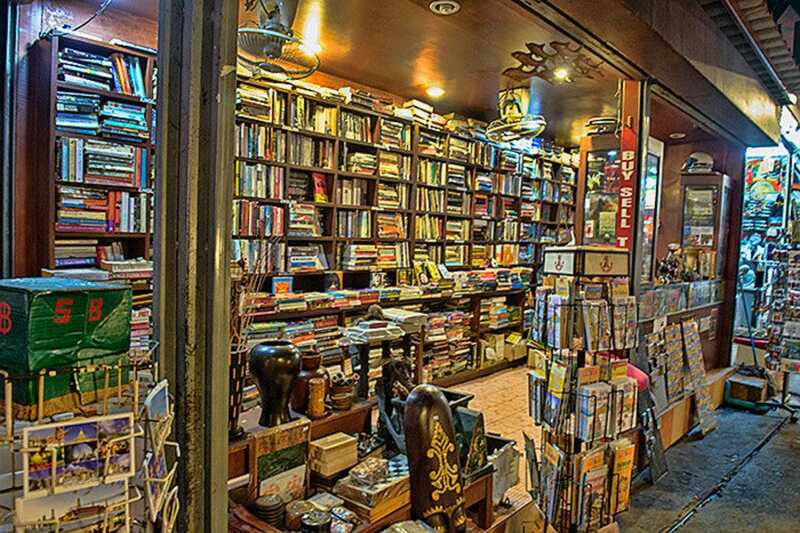 Bangkok is a good place to stock up on used paperbacks for traveling around Asia, and especially in this part of Khao San Road, all of the latest bestsellers and popular reads are always being swapped and sold, so the selection is pretty good. Sara Barn Books, easily found opposite Shewa Spa at the top of Susie Alley up from Khao San near the Rambutri Road exit, seems to have a better selection than most, and they don't pester you over browsing or taking your time to peruse a bit like most of the other shops. You can return books bought here for 50% of what you paid, receive credit or some cash for items you have to sell, and the book stock is at least somewhat categorized by subject or author, giving you a chance of finding what you are looking for. While it might seem novel, actually a lot of visitors to Bangkok make a journey to a tattoo parlor high on their list. Getting inked isn't for everyone, but for those who want some body art, Bangkok has become a good place to get it, with some fabulous artists who do a reputable job. At Bkk Ink Tattoo Studio several of the tattoo artists have won awards at tattoo conventions. From large to small, black and grey or colors, and specializing in tribal, Polynesian, geometric, or oriental tattoos such as dragons or snakes, these folks can do it all. They were the first studio in Thailand to get a tattoo license and recently received a French certificate at the Paris Tattoo Convention. In addition to applying tattoos, the Bkk Ink Tattoo folks also make sure you follow the right aftercare procedures. 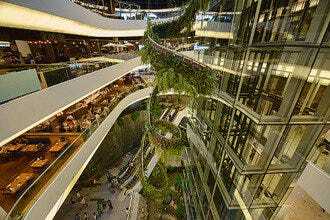 Bangkok is one of the better spots in the world to buy quality mens' clothing at excellent prices. Custom tailoring is a big draw here, yet it is often hard to know whom to trust and what a fair price is, especially around Khao San Road, where countless touts try to drag you from the street into shops and procure a commission for their efforts. 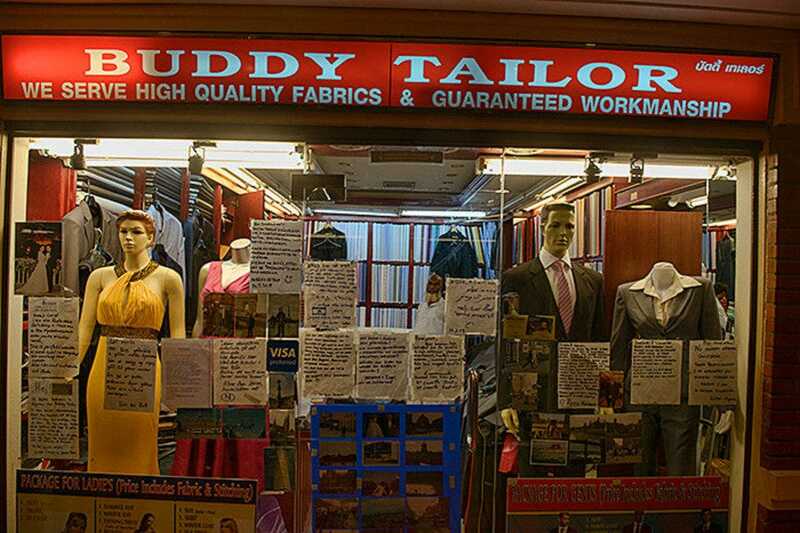 Buddy Tailor bucks this trend, as they don't send touts into the street, and the family business which has been in Bangkok for several decades has dozens of accolades written by satisfied travelers from around the globe taped up all around their shop windows. Here you can get measured for the finest in pants, shirts, and jackets and have a custom made suit whipped up in a few days. Rainbow Silver is a second generation family business that has been one of Khao San Road's top shopping spots since 1981. Not only are they a wholesaler of fine silver jewellery, but also a manufacturer that knows silver craft pretty darn well. Rainbow does handmade and machine made silver pieces, and will even custom design silver jewellery based on a client's design and specifications. From rings to bracelets to pendants, the store has a vast selection of products, and all of their work is guaranteed. 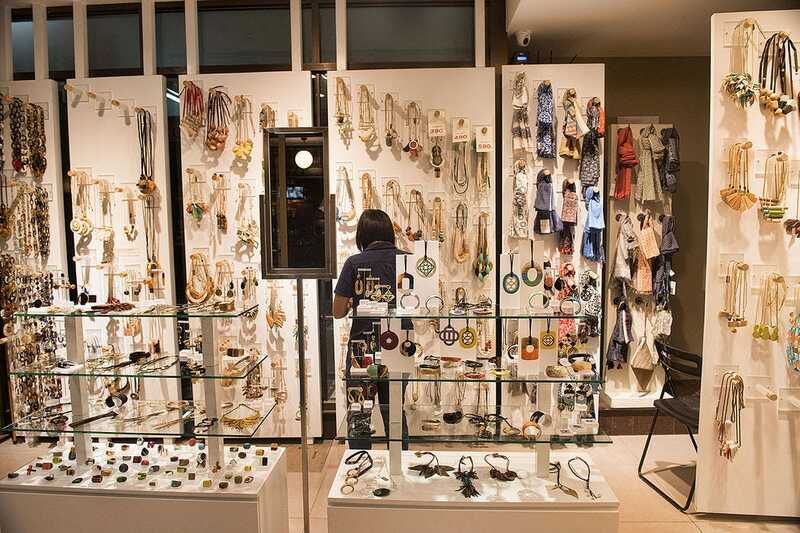 Endorsements from the Ministry of Commerce and local Jewellers' Association help travellers rest assured that they are in good hands here, which is not always the case when it comes to Khao San Road merchandise. 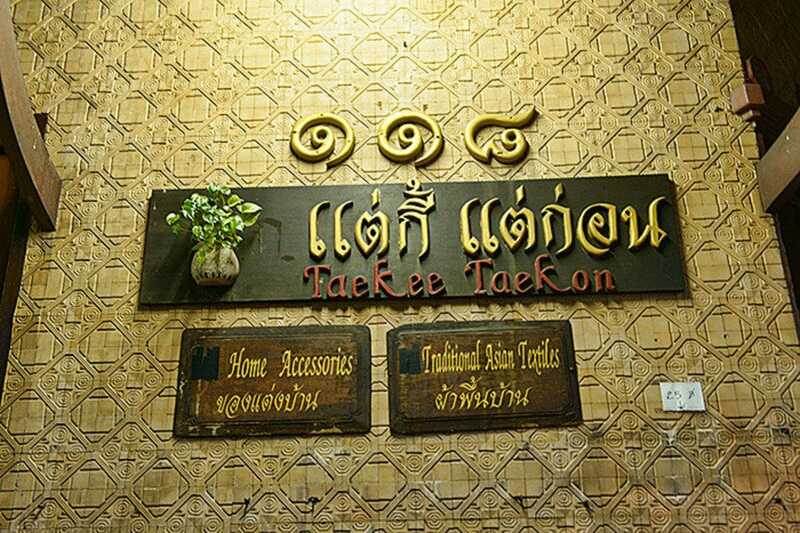 Taekee Taekon (pronoucned takeh takone) is a lovely shop specializing in textiles from all over Thailand. You can buy some decent silk here, along with plenty of other arts and crafts, and there will certainly be something here that can make anybody's souvenir list. 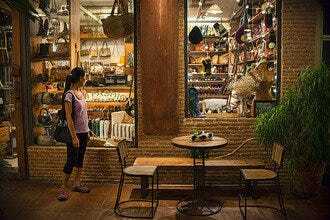 Located in a traditional old home fronted by bamboo paneling along artsy Phra Athit Road, this shop is a bit more refined than your average Khao San souvenir joint. Home accessories are available along with the various silk and fabric offerings, and the postcard selection is of the finest quality, with some great black and white prints available showing off a stylish side of Thailand. While visitors to Thailand are often drawn to ethnic hill tribe crafts as souvenirs, it can be difficult to find genuine products that are actually made by villagers, not to mention the villagers actually receiving some real remuneration for their labor. Lofty Bamboo is a wonderful gift shop selling native arts and handicrafts made by traditional skills and the outfit has a commitment to village self-reliance through Fair Trade. Trying to preserve local traditional arts skills in the face of modernization, Lofty Bamboo sells products made with Lisu and Karen hill tribe fabrics and textiles, Karen silver accessories, beads from Chainat, along with embroideries made by Muslim women from the villages. Lofty Bamboo has working relationships with several villages and their website is highly informative. Even if you aren't buying, the colorful products and excellent artwork and handicrafts are worth a look at just to admire. While most shops around Khao San Road are geared towards the tourist trade, often selling similar tacky souvenirs and trinkets, this little gem over on Soi Rambutri just near the corner of Phra Athit is a must-stop for those into vintage items, and the tiny shop sees far more bohemian Thais than it does foreigners. You'll find mens and women's fashion here ranging from ethnic to lace to old jeans, dresses and shoes dating back as far as the 1920s, along with an excellent collection of classic CDs and vintage LPs to browse through. You can even buy a beer here to help with your browsing, and despite the promximity to Khao San, it feels a million miles away. Prices aren't rock bottom, but the quality is high, and a notch above what you'll discover on Khao San.